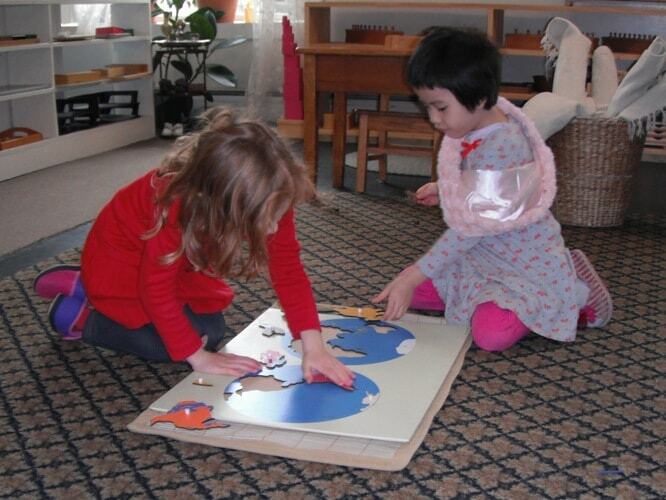 Montessori School of Central Vermont encourages visits from adults who are interested in exploring the principles of Montessori education. Observations provide a basis for discussion and a deeper understanding of Montessori’s view of childhood, its stages of development, and the implication of these for educational practices. We open Observations to all interested individuals. For parents who are considering enrollment for a child, the Observation serves as an early step in the enrollment process. Because of its disciplined and largely cerebral nature, an Observation is not the appropriate method for introducing children to Montessori. Children therefore, do not take part in Observations. MSCVT schedules appointments to observe. These generally take place in the morning (around 9:15) and last for about 30 minutes. The school provides guidelines that will enhance the experience. A Montessori trained faculty member conducts a follow-up interview to an Observation either in person, directly after the Observation or sometime soon after, by telephone. MSCVT also hosts 3 Open House events through the year (Oct, Feb,and May). Families are invited with their children to explore the classrooms, meet the staff and ask questions. To schedule an Observation or find out about an upcoming Open House, please call the school, 802-479-0912 or contact us.